It is still a early for any harvests but we will be active this year with picking fruit as well as jam and chutney making. A full schedule of activities will be in place and on the blog soon. In the meantime if your are local to Ealing our apple juice, chutneys and elderflower cordial are all sold through Cheddar Deli on Northfields Avenue. We’ve just delivered our first batch of apples to Chiltern Ridge for pressing. This first batch will be more dry than sweet as its main apple is a Bramley – the standard English cooking apple. We’ve mixed in some James Grieve, Discovery and Katy to give it a slightly sweeter edge, so we’re keen to have a taste and see how it’s turned out. 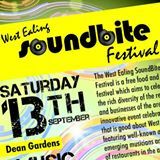 The juice will be on sale at the West Ealing SoundBite Festival on Saturday 13th September. Pesky parakeets pinch our apples! Indian ring-necked parakeets – possible culprits! After a couple of poor years for our apples, we have been able to start giving away surplus fruit again. We’ll be putting the fruit in Abundance boxes on fences and walls about the streets of West Ealing. We started off this week with just one box and some lovely dark-skinned,green-fleshed plums from a Hanwell allotment and have followed up with Discovery apples from our allotment. I love the anticipation of the first apples of the year and Discovery is one of my favourites. It’s delicately perfumed and when fully ripe has hints of pink flesh to match the skin colour. It’s a real treat to eat and even better when picked straight from the tree. You can’t get any fresher. You really need to leave chutneys to mature for a few months, so we’ve been busy making the first of this year’s batches ready for Christmas. We’ve used James Grieve off our allotment as the basic apple this year which should give the chutneys a nice texture. James Grieve is slighly unusual as it is a cooker to start with and becomes an eating apple as it ripens. It hold its shape quite well whereas many other cooking apples can turn to fluff. We should be able to sell these chutneys from Novemnber onwards so watch this space for news of Christmas fairs where we’ll be selling our produce. You might think we can’t grow apricots in this country but we can. The type of apricot tree on our allotment was developed in Canada so can take a bit of cold weather. Most years our tree gets hit by a late frost and the crop is badly damaged but not this year. We have had our best crop in 10 years and one of the products we’ve made is apricot butter. The ‘butter’ just describes the consistency of what is basically concentrated fruit boiled down until it sets. Fruit butters spread whilst fruit cheeses need cutting. But whether butter or cheese, they go fantastically well with cheese and this year we have made a batch of apricot butter. I can vouch for its deliciousness! We’ve just delivered our first 6 jars of apricot butter to Cheddar Deli in Northfield Ave so if you want to give yourself a real treat do drop in and buy a jar and tell us what you think of it. The wait is over! 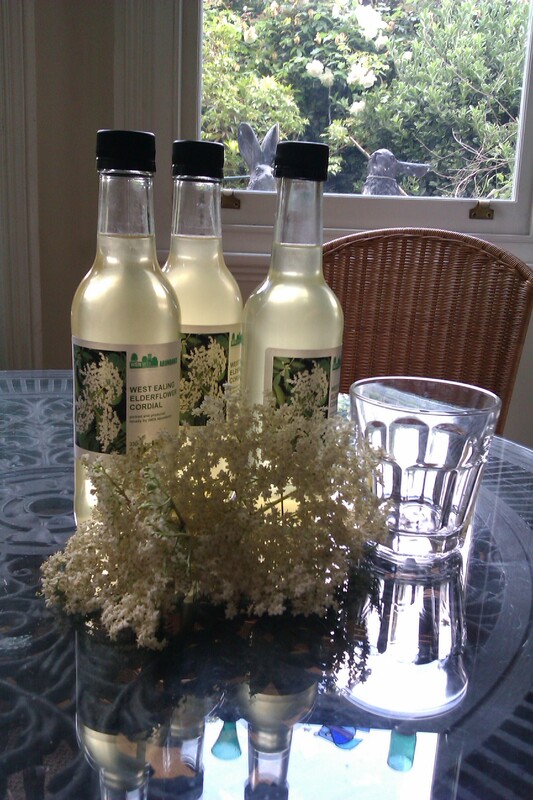 We now have our first batch of this year’s elderflower cordial available to buy. We can never seem to make enough so we’re increasing our production again this year. We’re aiming to make at least 200 bottles and we’re well over half way to our target. If you want to order some it costs £3 a bottle and please email us at wenabundance@gmail.com or come and see our stall at the Hanwell Carnival on Saturday June 21st. Sorry, we’ve been so silent – plenty going on, though. Our produce (apple juice, chutney, jam) is now sold through Edible Ealing and Cheddar Deli. We will also be selling at fairs as usual through the season. We’ve had a pruning professional down at the community orchard so the trees are looking tidy. Our next harvest is elderflower in May – we’ll be looking for pickers then. Elderflower cordial always sells quickly. We are always looking for new fruit trees to pick – so if you know of any, let us know. If you want to be on the picking posse, let us know. This is the busiest time of year for Abundance with so many fruits being picked. We’ve just taken delivery of our second batch of apple juice. Different apples this time and the juice tastes fruity and dry – very refreshing. We’ve got to get it labelled and then it will be ready to sell. We picked a mass of damsons a couple of weeks ago at a site in Northolt and we now have some 30 jars of spectacular looking damson jam. Damson has one of the most intense of fruit flavours so this should be something to savour. The kitchen is starting to take on that autumnal aroma of vinegar! It’s chutney time again. We’ve got pears in and ready for the ever-popular pear and ginger chutney. We have a goodly supply of quinces which may be turned in to quince cheese or maybe in to chutney – we shall see what works best.